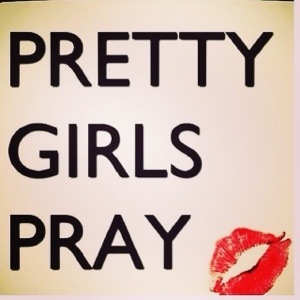 A praying woman is necessary in this life. Knowing you have that guardian Angel that only wants the best for you. That cries when you can’t, that begs God to make sure you make it home okay when you’re drunk. Not our mothers, our grandmothers or our daughters will ever pray for us like the woman that loves us intimately and passionately. More than your lips, breast or thighs I need that from you the most. A woman calls you and asks you to dinner, that’s great. She calls you for drinks after work, then maybe she likes you. But when a woman asks you to church, worries about your spiritual well being, that’s when you know it’s real. The way my faith is set up I couldn’t be with a woman that didn’t pray. That can’t understand the joy I feel when I go from feeling hopeless to feeling like everything will be okay. Every man needs that. So if you pray for me, we go together. Unless you’re family and then we’re just cool.